Filters for fresh, clean fun. Keep your pools, spas, and aquariums clean and comfortable with POREX® pool filters, spa filters and aquarium bubblers. These rigid, lightweight filters and bubblers maximize surface area and flow rates, and have excellent chemical and physical resistance to cleaning to ensure a long serviceable life. Provide a high flow capacity and high solids loading to keep pools and spas free of debris. Ensure a long service life with cleanable and reusable materials. Not all filtration systems function equally. Swimming pool filters from Porex can be used with sand filters or customized to meet your filtration system needs. 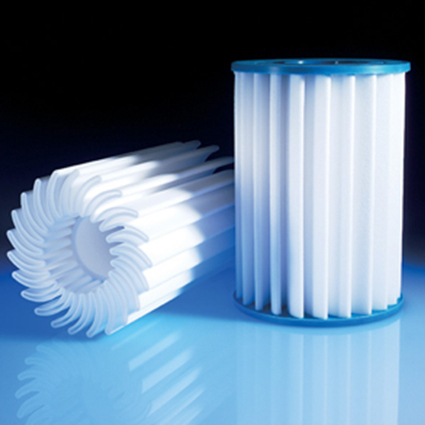 To extend the life of the filter, these porous filters are backwashable, cleanable, reusable and facilitate flow to ensure optimal filtration efficiency. Ensure a long life–Open pleat design combined with a rigid structure allow for easy filter cleaning and backwashing. Increase flow rates – Maximized surface area helps optimize flow rates for maximum filtration efficiency. 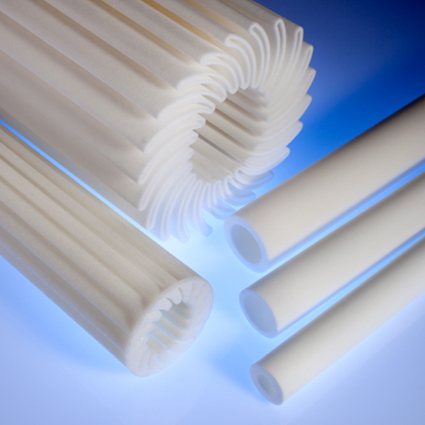 Our POREX® radial cartridge filters are unique, porous plastic cartridges designed to fit standard cartridge filter housings in spas and hot tubs. The single-layer, one-piece molded polyethylene (HDPE) cartridges are backwashable and cleanable. Are cleanable – Wide, rigid pleats allow easy cleaning. Resist chemicals – Material resistance to a broad spectrum of water treatment chemicals helps ensure long product life. For fish tanks and aquariums, manufacturers trust POREX® aquarium bubbler components. Designed to efficiently introduce bubbles into water to optimize oxygen transfer into the aquarium tank. Consistently introduce gas streams–Bubblers ensure efficient and consistent introduction and diffusion of gas streams into the water. Optimize oxygen transfer – Even pore size distribution creates more uniform, small bubbles.